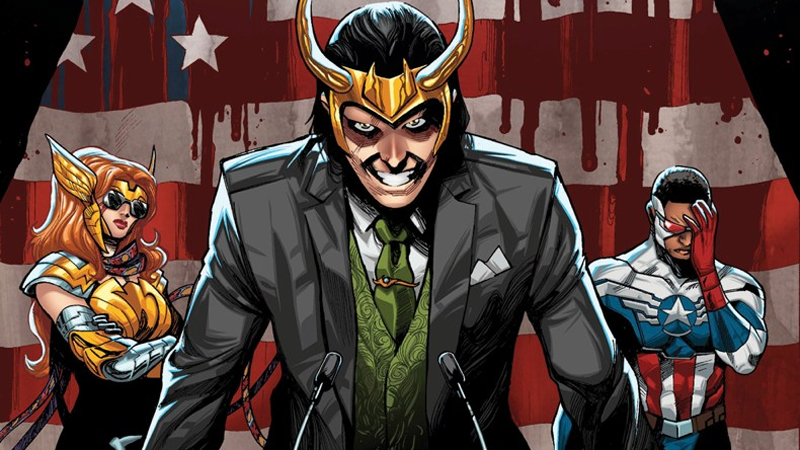 In the timeliest of moves, given that it’s “Super Tuesday” in the U.S. Presidential garbage fire election, Marvel has revealed an all new series called Vote Loki, in which Odin’s most belligerent child decides to visit Earth and run for President. It’s presumably a limited-run event rather than an actual ongoing book, although that would be some great commentary on how it feels like the current race has been going on since the dawn of time. Details are incredibly scarce—no writer or artist has been confirmed for the book—but by the top art it looks like Sam Wilson and Angela will play roles in the series. Expect so many Trump jokes that your brain will probably fall out by the end of the first issue. I wonder what Loki’s stance on cyber warfare is? Vote Loki begins in June.